Mairi Anna NicUalraig agus Seán Ó hÉanaigh le ceòl à Alba 's Èirinn bho leithid Clannad agus Raonaid Walker. Mary Ann Kennedy and Seàn Ó hÉanaigh with Scottish and Irish music. Mairi Anna NicUalraig agus Seán Ó hÉanaigh le ceòl à Alba 's Èirinn. An-diugh cluinnear bho leithid Raonaid Walker, Clannad, Pòl Dooley agus Rua Mac a' Mhaoilein. 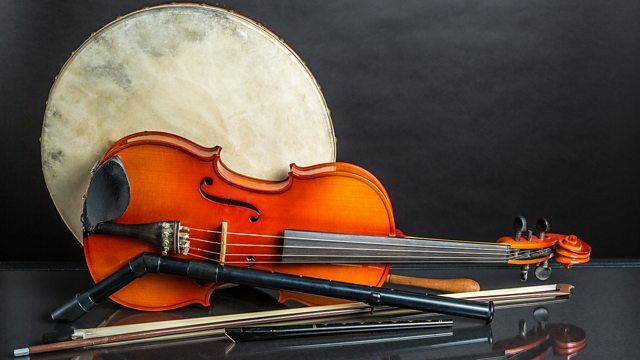 Mary Ann Kennedy and Seàn Ó hÉanaigh with music from Scotland and Ireland including tracks from Rachel Walker, Clannad, Paul Dooley and fiddler Rua MacMillan. SCOTLAND'S FIDDLE PIOBAIREACHD VOL 1.